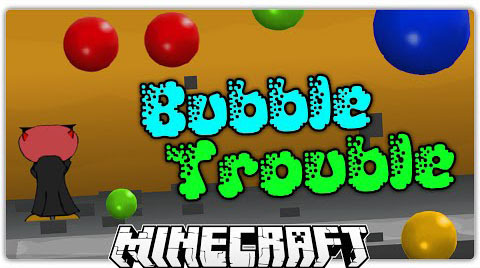 Bubble Trouble map is a popular flash game that has been ported to Minecraft. 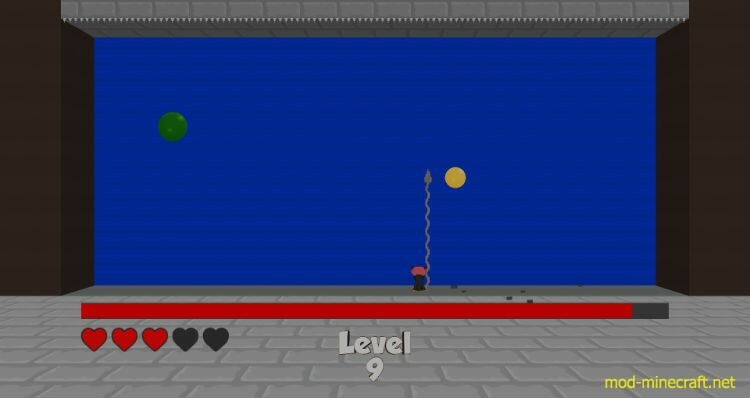 The goal of this minigame is to pop all the balls in a level. 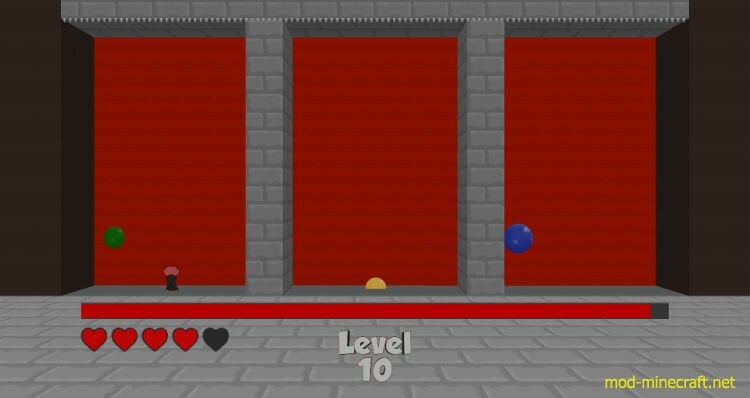 Small balls will just vanish if you hit them, but bigger ones will actually split, making the game quite difficult in the higher levels. 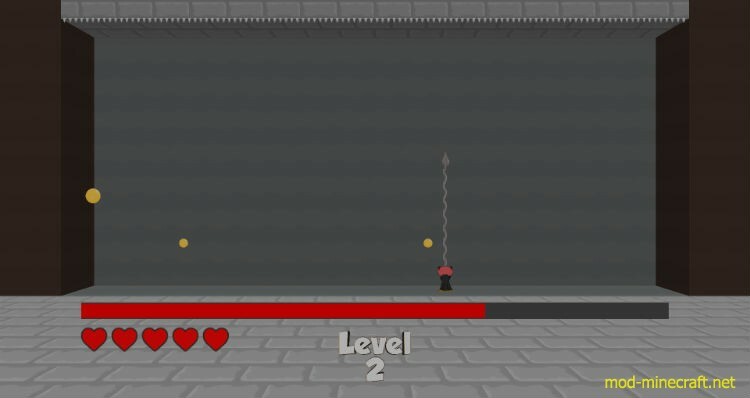 To control the little character press A and D to move left and right and Shift to shoot. 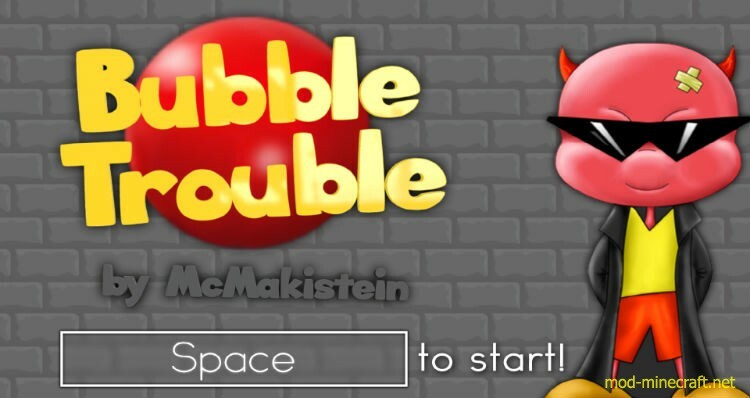 This map is for Single Player.